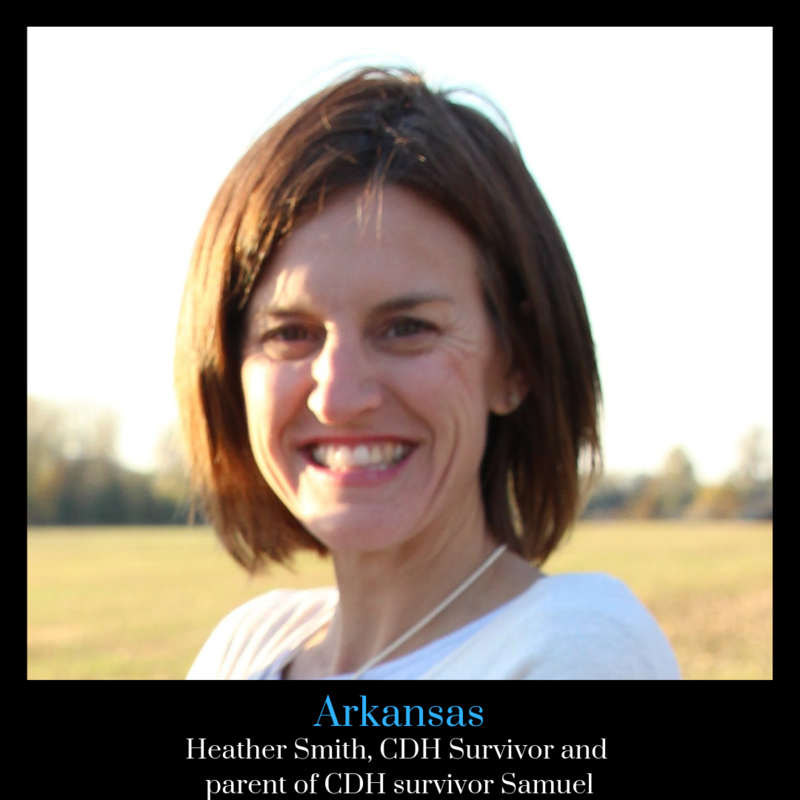 We want to introduce you to CDH International’s Arkansas Ambassador, Heather Smith. Heather is the mom to cherub Samuel. Heather lives in Little Rock, Arkansas, with her husband, Kurt, and their two sons, Samuel and Wyatt. She works two days a week as an occupational therapist and is a stay at home mom with her boys the rest of the time. She has been impacted by CDH in a number of ways. She has CDH and her son Samuel has CDH. Her hernia didn’t show up until she was two months old, so it didn’t interfere with lung development. Heather began having trouble breathing when she was two months old and it turned out she had a diaphragmatic hernia. She have had several bowel obstructions, but other than that she has not had any issues. Heather’s son, Samuel, was diagnosed at 18 weeks gestation and spent 133 days in the NICU including 11 days on ECMO. He is doing great now. Their family enjoys going to the lake, anything outside, and they are very involved in their church.